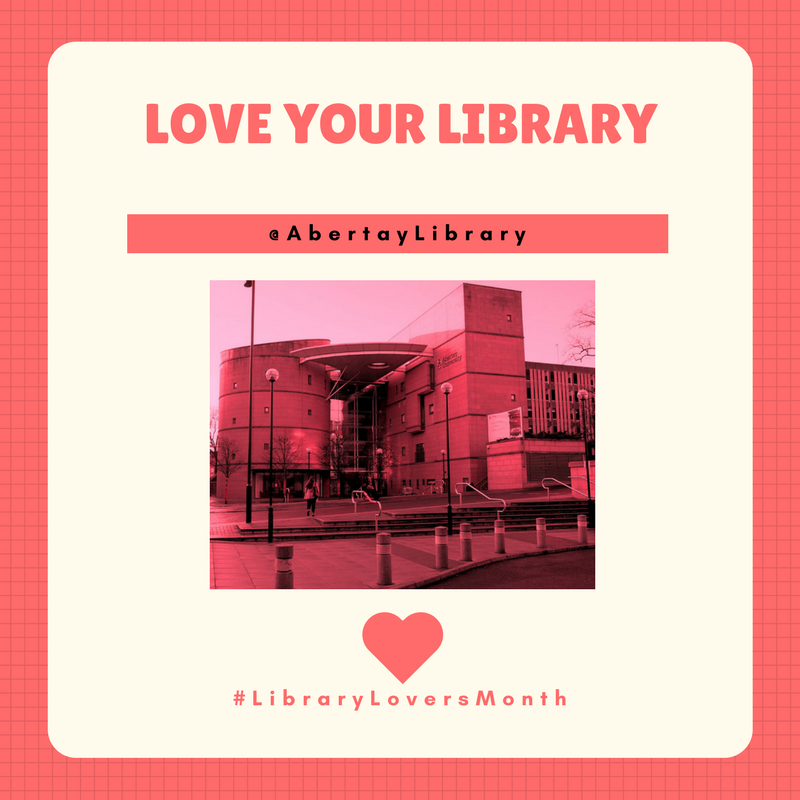 As part of February’s Library Lovers Month we’re sharing reasons to love your Library…and today we’re looking at Google Scholar. The Library pays lots of money for subscriptions to online journals and we want you all to be able to access them as easily as possible. LibrarySearch lets you search across multiple collections and platforms from one simple search box – which is pretty nifty and saves you lots of time! 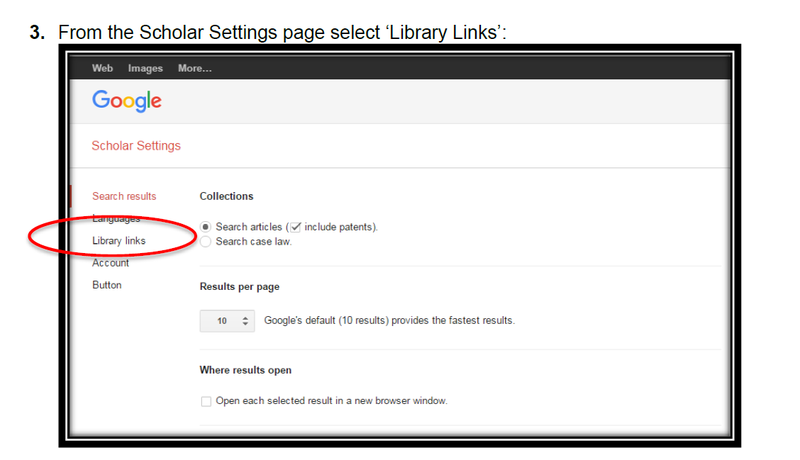 But, we know that lots of people like to go to Google Scholar to start searching so, there are a few things you can do to make sure you always get those full-text Library subscriptions showing in your results. You don’t have to do anything! 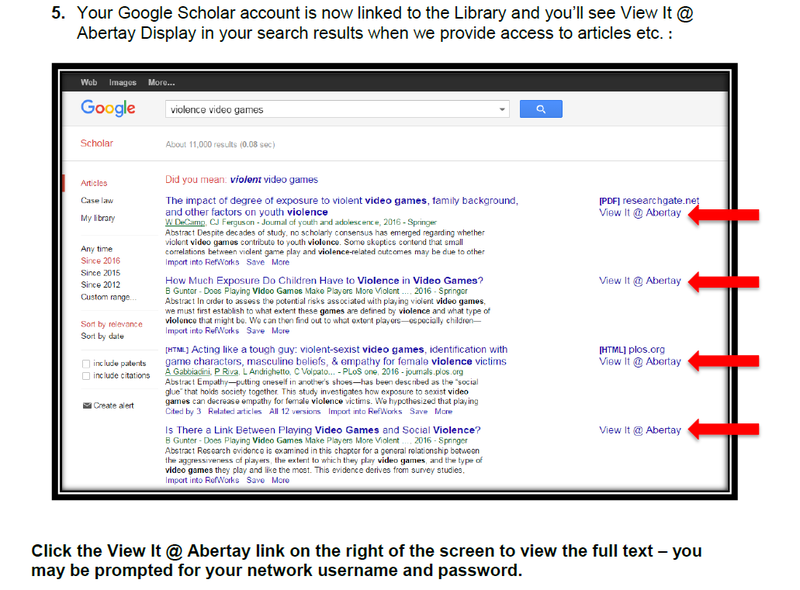 We’ve set up all of our online journals to show as being available in Google Scholar when you’re searching via the University IP range – you’ll see the View it @ Abertay button to link to our content. You might think you’re accessing lots of freely available content, but it’s actually provided by the Library. You’re welcome! If you’re searching at home, you need to do a little bit of tweaking to make sure you’re seeing our full-text content. You just need to select these settings once, make sure to save and you’re good to go! Just go to: Settings > Library Links then search for Abertay (Show Library Access Links For) and tick the box for View It @ Abertay. You can also choose to export directly from Google Scholar into RefWorks. Go to: Settings > Search Results > Bibliography Manager then pick RefWorks from the drop-down and click save. Hey presto! You’ll now get links to all of our subscribed content in your results list and see an Import into RefWorks link under all results. This will help you to keep track of all those important articles you find – no more scribbling references on bits of paper! 2. Click Settings again at the top of the screen. Following these tips will ensure that you are able to access all of the same great content and resources from home as you can when you’re in the Library. Just another reason to love your Library! 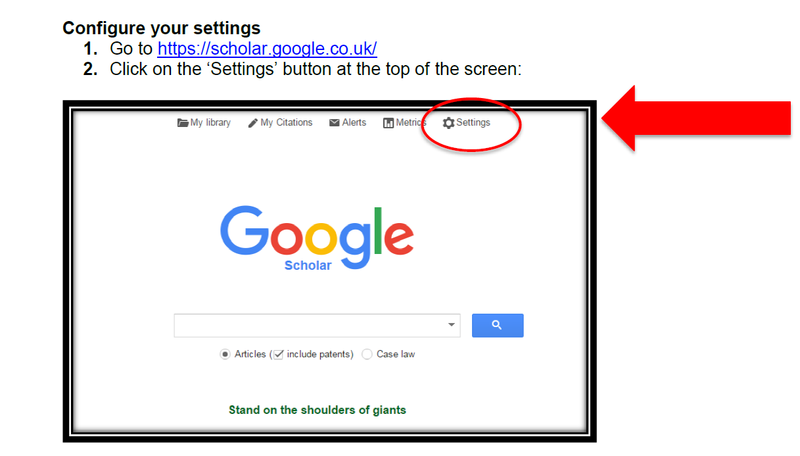 Click here for more help and info on Google Scholar. The holidays are fast approaching so here’s a few handy tips to guide you through the festive season! The Library will be closed from 5pm on Friday 23rd December and re-opens on Thursday 5th January 2017. Don’t worry – no Library books or loans you have will be due back when we’re closed! Hopefully you’ll get plenty of time to relax and enjoy a mince pie or five, but if you want to get cracking with coursework you can access ALL of our online resources from home. However, to make sure you can get to the book or article you’re after as easily as possible without having to hunt for the right login option, always use LibrarySearch or the links on our Library web pages. With LibrarySearch you can quickly and easily get to the full text of most* of our resources from one simple search box. You’ll find all items from reading lists on LibrarySearch, whether they’re print or online resources. *If you’re looking for specialist content, you need to go direct to the following resources: Westlaw, Lexis Library, Construction Information Service, and Key Note. There’s a help section on the LibrarySearch home screen – just scroll down past the boxes and select the tab you want. There’s some top tips here on searching and refining. If you prefer to search your favourite databases directly (who doesn’t have a favourite database?!) rather than using LibrarySearch, please use the links provided on the A-Z Online Resources page or from your designated Subject Guide. These links have authentication built in so will prompt you for your network username and password. If you use Google when on-campus, you’ll still get through to the full-text articles as we’ve got IP authentication enabled for all of our subscribed content. If you try that off-campus, you’ll spend ages hunting around for the correct login (institutional/Shibboleth, never Athens) before you finally get to the Abertay content – or often, you won’t be able to access it at all via Google. To keep things nice and simple, use these links for access. If Google Scholar is where you go to search for articles, make sure you’re not missing out on all those great resources the Library pays loads of money for! Again, when you’re on-campus you don’t need to worry as our content is set up to show as available in Google Scholar. 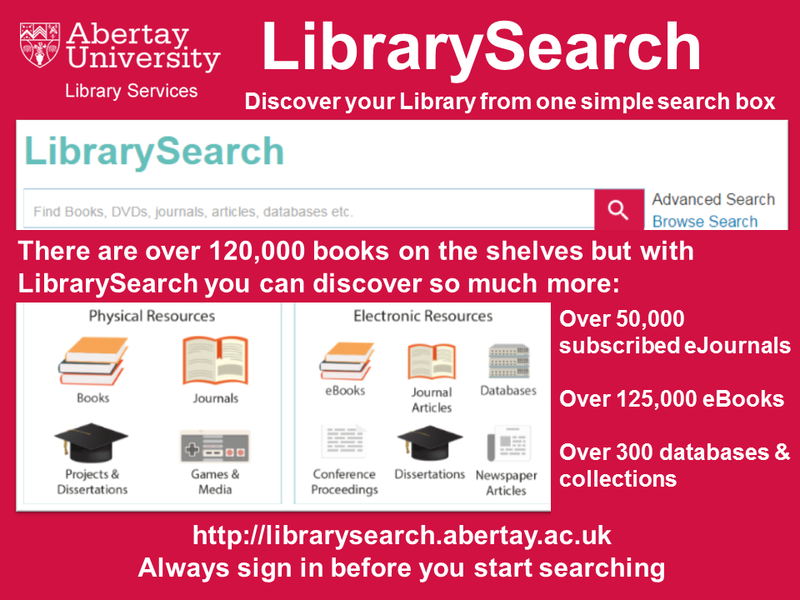 If you’re searching at home, just go to: Settings > Library Links then search for Abertay (Show Library Access Links For) and tick the box for View It @ Abertay. You can also choose to export directly from Google Scholar into RefWorks. 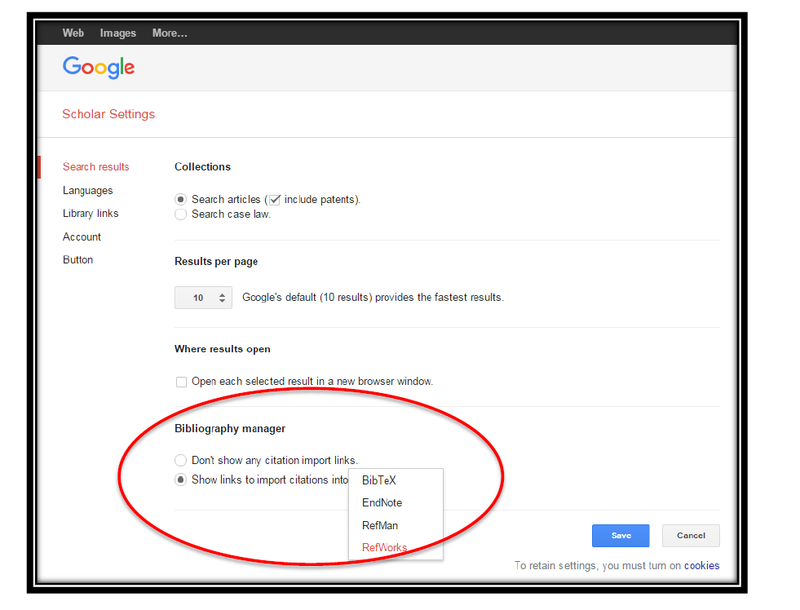 Go to: Settings > Search Results > Bibliography Manager then pick RefWorks from the drop-down and click save. Hey presto! You’ll now get links to all of our subscribed content in your results list and see an Import into RefWorks link under all results. This will help you to keep track of all those important articles you find – no more scribbling references on bits of paper! Following these tips will ensure that you are able to access all of the same content and resources from home as you can when you’re in the Library. And finally, have a great holiday and we’ll see you all in 2017! The Library will close from 5pm on Wednesday 23rd December 2015 and re-open on Tuesday 5th January 2016. For those of you planning to do work over the holidays please remember that you can still access all of our online resources from home. You can access Summon and all of its content off-campus. 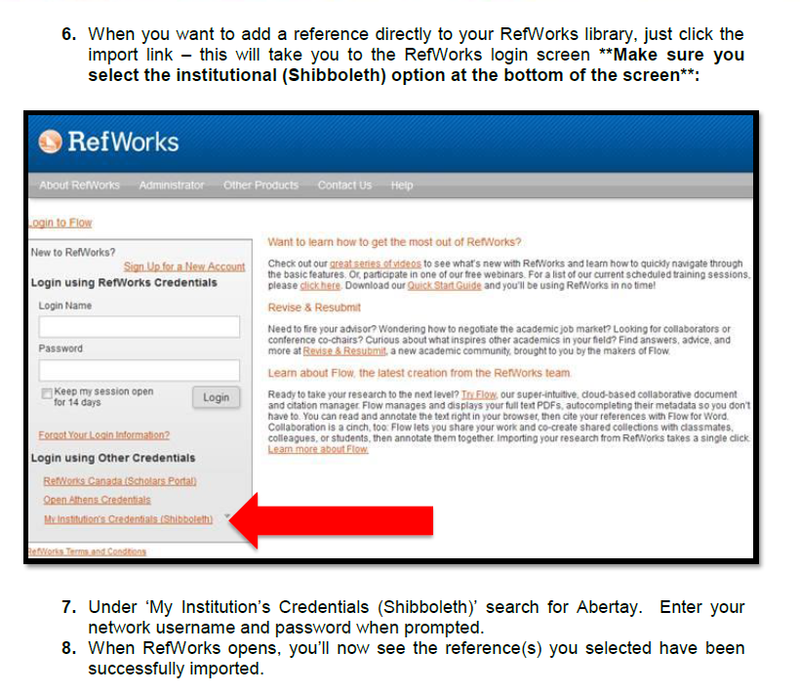 The functionality is exactly the same but you should use this URL and ensure you click on the blue login bar at the top of the screen (and enter your Abertay network username and password) before entering your initial search terms. If you want to access specific resources, journal collections, databases etc. from off-campus always ensure you use the A-Z Online Resources or the links from your Subject Guide pages. These links have the correct authentication built into them so you will be prompted for your network username and password and will be able to access all the full-text content we subscribe to. 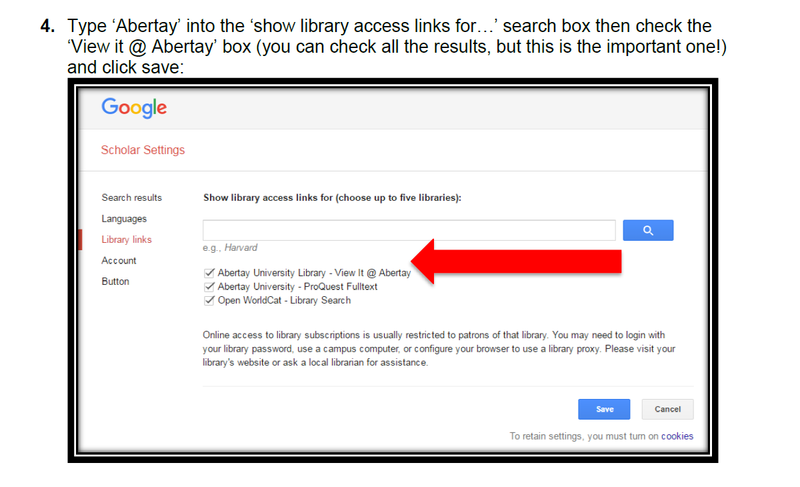 If you just go direct to a resource via Google and don’t select the correct login option, you won’t be able to access Abertay content. Your subject guide lists the best resources for finding information for coursework, projects and dissertations, contact details for your Academic Librarian and links to other useful help and advice. The links on these pages have the correct authentication built into them allowing you to easily access all the content we subscribe to. These pages contain quality peer-reviewed journals and databases, as well as links to useful websites and company information – all hand picked by your Academic Librarian. The Library intranet pages have lots of online help available to you so you never need to be stuck! There are YouTube videos, fact sheets, checklists, toolkits and useful links, and much more. Phew. That should be enough to keep you busy for a while. Have a great break and we’ll see you again in January! 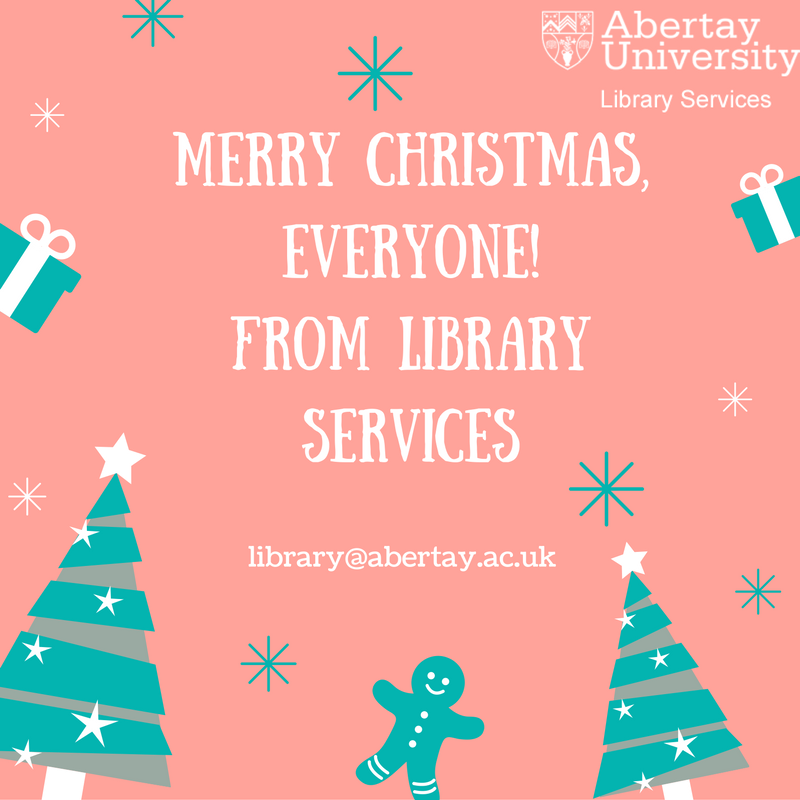 Library Services would like to wish you all a very Merry Christmas.